The shamrock plant I haven't killed yet. 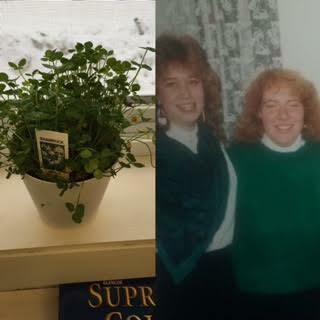 My bestie and I in Ireland, 1987. Love the picture! Happy St. Patrick's Day!